CONCERT POSTPONED DUE TO WEATHER. This event is open to the public, but seating is limited. Reservations are required and may be made here. 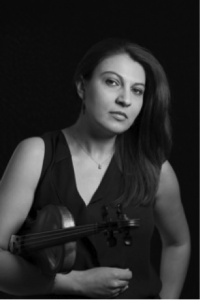 Violinist Oana Lacatus has performed in concert venues across Europe and the United States such as the Romanian Radio Orchestra (Bucharest), Palace of Fontainebleau (France), University of Gothenburg (Sweden), Lincoln Center (New York), WGBH (Boston). Oana is the recipient of many prizes which reflect her soloist and chamber music background which include the “M. Jora” grand prize and the winner of the International Chamber Music Ensemble Competition. Oana has a great appreciation for new music and enjoys performing contemporary repertoire. She is a former member of the “Pro Contemporania” ensemble and she is also an active participant in the Boston musical scene. Among other accomplishments Oana was a proud recipient of a full scholarship at the American Conservatory of Fontainebleau and also a full scholarship at the Boston Conservatory where she completed her education. Oana has studied along the years with Nicolae Bilciurescu (Romania), Olivier Charlier (France), Victor Romanul, Lucy Chapman and Ronan Lefkowitz (USA). Rebecca, a grand prize winner of the Fischoff National Chamber Music Competition and the Chamber Music Yellow Springs Competition, has had an active and versatile career as a chamber music and orchestral cellist. Ms. Thornblade has played with many ensembles throughout the country which include the award-winning Fry Street and Avalon quartets and as principal cellist of the New World Symphony in Miami and the Civic Orchestra of Chicago. She has participated in the Aspen Music Festival Advanced Quartet Studies Program, Chamber Music Encounters in Jerusalem with Isaac Stern, the Pacific Music Festival in Sapporo, Japan, the Britt Festival in Oregon, the Colorado Music Festival, the Spoleto Festival U.S.A., the Norfolk Chamber Music Festival, the Tanglewood Fellowship Program, the Sarasota Chamber Music Festival among others. Ms. Thornblade has worked with many renowned quartets such as the Vermeer, Juilliard, Orion, Takacs and members of the Cleveland and Emerson Quartets. She was featured on WGBH’s “Classical Performances” with pianist Gilbert Kalish and has collaborated with flutist Carol Wincenc and pianist Randall Hodgkinson. Her teaching experience includes work with the MusiCorps Program through the Civic Orchestra of Chicago, the Midori Foundation in New York, outreach programs with the New World Symphony and Chamber Music America’s Rural Residency Program and as Adjunct Professor of Cello at Rhode Island College. 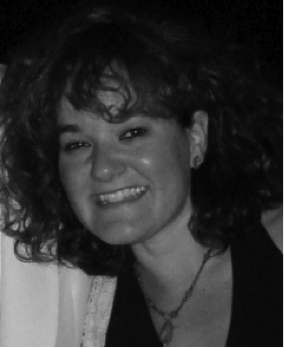 Rebecca is currently a member of the Rhode Island Philharmonic Orchestra and has performed with Opera Boston, the Chamber Orchestra of Boston, The Boston Modern Orchestra Project and Cantata Singers. She has appeared as a chamber musician with Lyrica Boston, Lyrica Chamber Music in New Jersey, the Suzuki School of Newton’s Artist Concert Series, the New Gallery Concert Series, The Radius Ensemble, The Firebird Ensemble and the Worcester Chamber Music Society. In addition to her private teaching studio, she is an adjunct professor of cello at Wellesley College and on the music faculty of Point Counterpoint in Vermont. Ms. Thornblade received her Bachelor’s in Music from the Oberlin Conservatory as a student of Norman Fischer and Peter Rejto and her Master’s in Music from the Juilliard School with Joel Krosnick. Romanian pianist Roxana Bajdechi has appeared as a soloist as well as a chamber musician in Europe, Asia, and the United States of America. Ms. Bajdechi’s pianistic skills were discovered early on, when, at the age of eight, she was awarded the First Prize at the Mozart Piano Competition in Constanza (Romania). The following years were to bring many other awards and prizes. 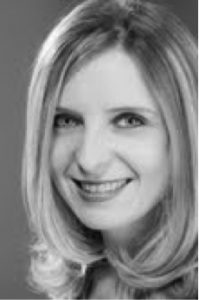 Ms. Bajdechi is now the recipient of more than fifteen such distinctions from Romania, Italy, Puerto Rico and the USA, including the “Valentino Bucchi” Prize in Rome, and the “Award of the Association of Music Critics of Romania”. MsBajdechi is a member by invitation of the Pi Kappa Lambda National Music Honor Society in the United States, and of the Henry Coanda Foundation for the Extraordinarily Gifted in Romania. Ms. Bajdechi’s solo engagements have included collaborations with important orchestras and ensembles. In Japan she toured as a soloist with the Mozart Virtuosi Orchestra, performing at the Metropolitan Art Space in Tokyo, the Kitara Hall in Sapporo, and the Civic Hall in Asahikawa. She was also featured as a soloist with other orchestras such as the Puerto Rico Chamber Orchestra (San Juan, PR), the Black Sea Philharmonic (Constanza, Romania) , The Boston Conservatory Orchestra (Boston, MA) , performing a wide range of concerto repertoire. As a recital pianist and a very active chamber musician, with appearances ranging from duo, trio, quartet, to quintet repertoire, Ms. Bajdechi has performed in numerous concert venues such as the Glinka Philharmonic Hall in St. Petersburg (Russia), the Mozart Hall in Bologna (Italy), the Dante Aligheri Theater in Ravenna (Italy), the Bonci Theater in Cesena (Italy), the Kaye Playhouse in New York (USA), the Hakuju Hall and the Romanian Embassy in Tokyo (Japan), the Culture Hall in Sapporo (Japan), the Crystal Hall in Asahikawa (Japan), the Atheneum Hall, the National Radio Hall, and the Act Theater in Bucharest (Romania), the Santa Cristina Festival Hall (Spain). Other accomplishments include numerous live appearances on the Romanian National Radio and Television, as well as on RadioTre Suite in Rome, Italy. One of her duo recitals with violinist Markus Placci was broadcast on BBC Radio (UK), Bartok Radio (Hungary), NRK Radio (Norway), and HRT Radio (Croatia). In March 2011, the National Radio Society of Romania awarded Ms. Bajdechi a Diploma of Excellency for promoting Romanian culture worldwide. In Boston, she appears regularly in performances at Seully Hall and Steinert Hall. Ms. Bajdechi recently returned from the third Japanese tour of the SteinArt Trio (together with Markus Placci, violin and Masanori Taniguchi, cello). The trio will tour Japan again in November, when the three musicians will perform in Tokyo, Kyoto, Wakayama, and Chichibu. Ms. Bajdechi studied under Olga Szel and Delia Pavlovici in Romania, and she benefited from the teaching of Michael Lewin.and Marina Magazinnik in the US. At the Boston Conservatory (BM’04 and MM’06), Ms. Bajdechi won the Concerto Competition, the Piano Honors Competition for three consecutive years, and she was awarded the Alfred Lee and Benjamin Kasser Scholarships. Ms. Bajdechi is currently on the Piano Faculty at M. Steinert and Sons Piano Academy in Boston, MA, and is the Artistic Director of the Steinway Society of Massachusetts.